Every dancer, every darkened club, every DJ, and every artist that FABIO FLORIDO encounters leaves an indelible impression on him. 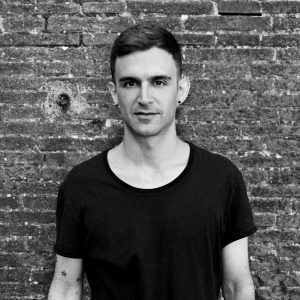 Fabio’s rise to his most recent heights – joining the likes of Richie Hawtin, Nicole Moudaber, Chris Liebing, Dubfire, Loco Dice and Paco Osuna as a PLAYdifferently MODEL 1 ambassador – is the outcome of a lifetime of learning. From the structured confines of a conservative training, to what he actually considers ”going to music school” amongst the sweaty ravers of Tuscany’s underground scene; to training a watchful eye on electronic music legends from the front row of late night London club sets. Labels like Black Swan, Selected Records, The Triangle and Nightlight Records were early to spot Fabio’s signature appeal and harness it for solo and split releases. Followed by more EPs on influential European labels like Minus, SCI+TEC, RUKUS and MOOD. In his own words, each of Fabio’s interactions has culminated in him arriving at this exact point: balancing his compulsive passion for music creation with his passionate consumption of nightlife, in constant pursuit of forward-looking sounds, tools and technology.